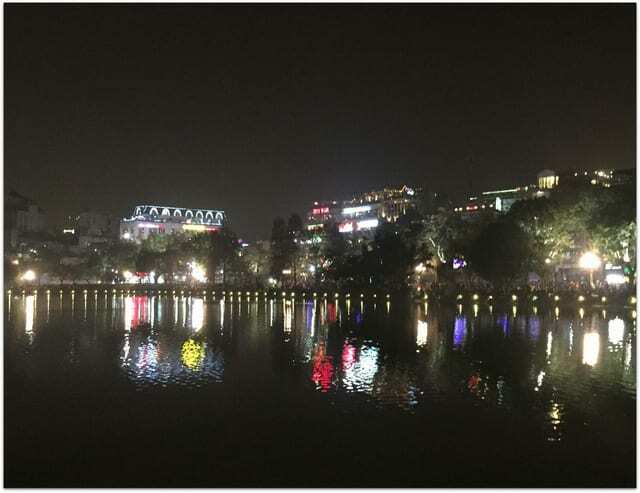 You are here: Home / Living Vietnam / Happy Tết 2015 from Hanoi! 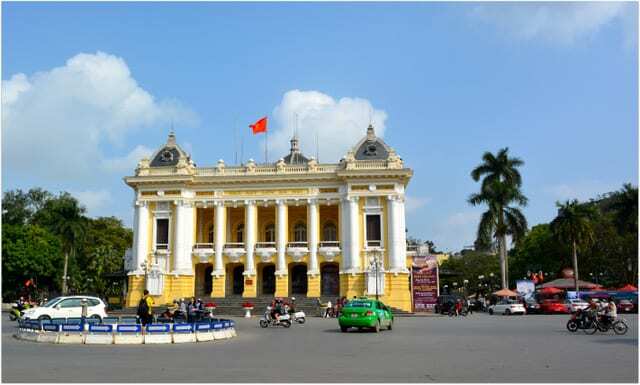 Although the Vietnamese work long hours (a full day’s work is often 12 hours or longer), they also take their holidays seriously. 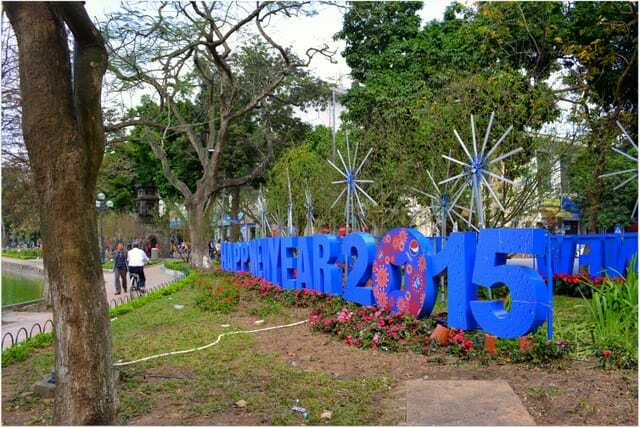 Tết, the Vietnamese new year, is a major holiday. 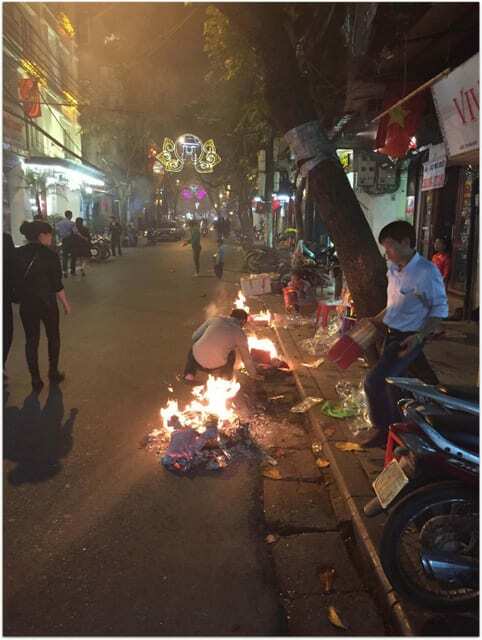 Saigon practically shuts down during Tết, as people return home to be with family. 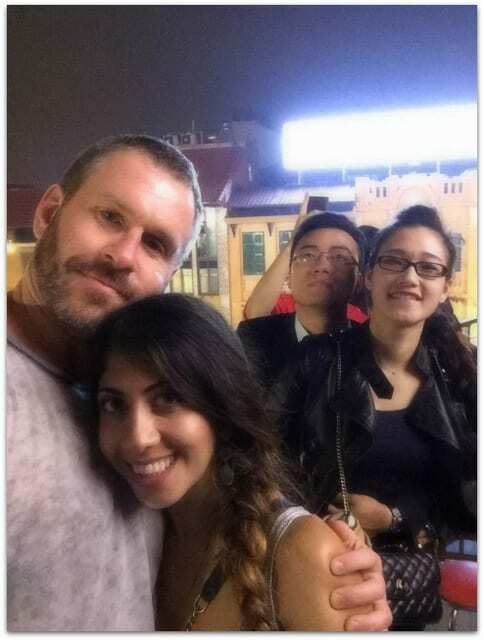 We decided to leave Saigon to enjoy the new year in Hanoi. Hanoi had a Haight-Ashbury feel to it. The scenery was cool, but there were a lot of backpackers and other tourists in the city. We stayed in the the Old Quarter area, which was centrally located and also a place tourists tend to stay. No drugs or boom-boom for me. I want to take in a view of the lake. 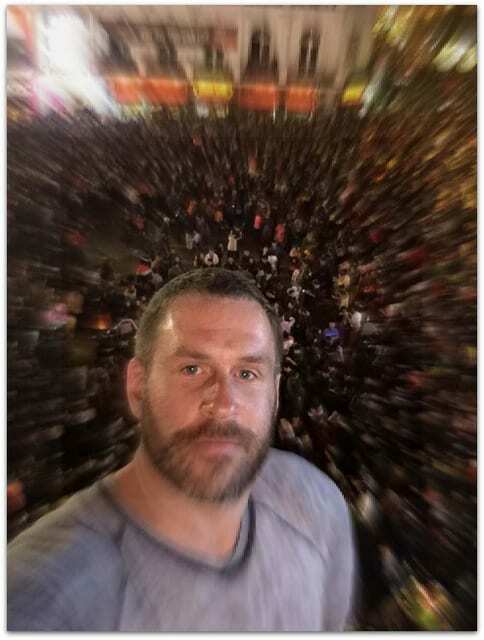 Hanoi was packed, as everyone wanted to see the fireworks display. 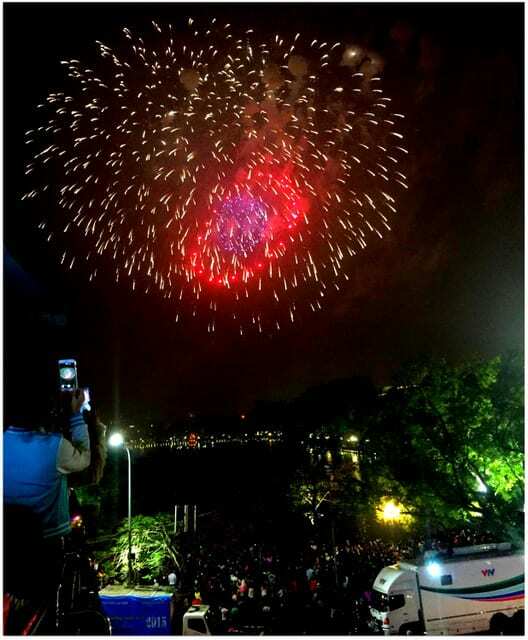 The fireworks display was spectacular. After the show we smelled paper burning. There were fires everywhere. The fires contain paper money. The Vietnamese practice a form of ancestor worship. The burning money symbolizes prosperity in the afterlife. 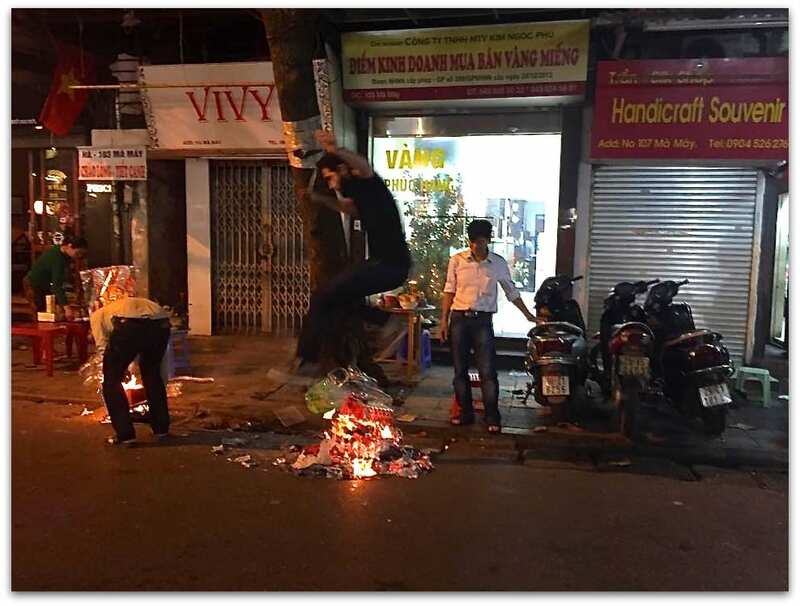 Persians jump over a fire during the celebration of the Persian New Year, so one of my fellow travelers joined the fun. Persians in Hanoi and they’re going gorillas. 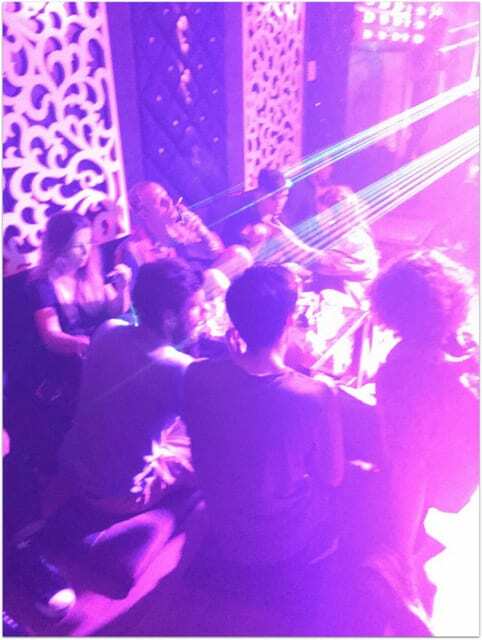 Hanoi has a nightlife scene. I went out just long enough to capture some photographs for you. 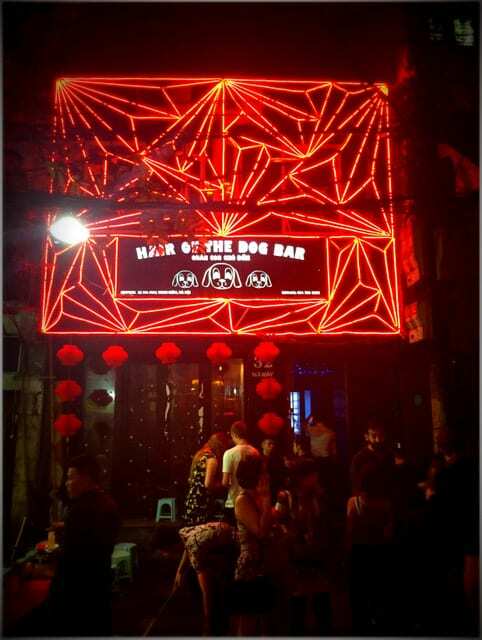 Hair of the Dog bar in Hanoi is where people to go for that YOLO. Trustafarians have been spotted in their natural habitat. 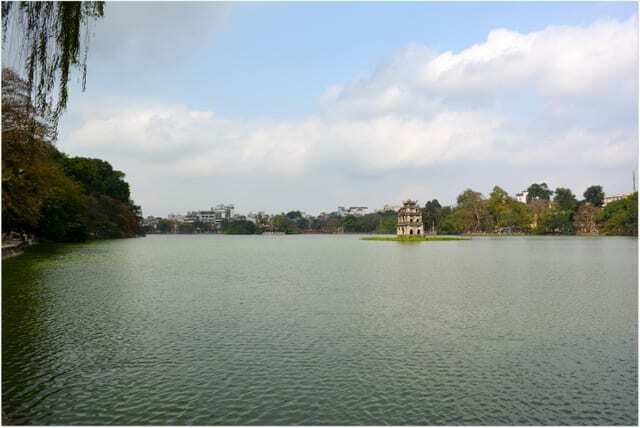 After a solid night’s sleep, we took in the view of Hoàn Kiếm Lake. 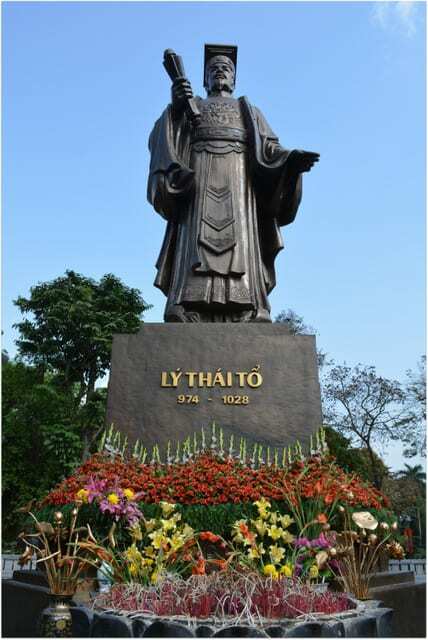 Lý Thái Tổ moved the capital of Vietnam to Hanoi. We were unable to take in an opera, but we did enjoy the beauty from the outside. Now read about the caves of Dong Hoi, Vietnam.